Cote d’Ivoire’s women entrepreneurs who are looking to take their businesses to the next level gathered in the city of Abidjan on the morning of Thursday 29th November for the second Lioness Lean In event in the country. 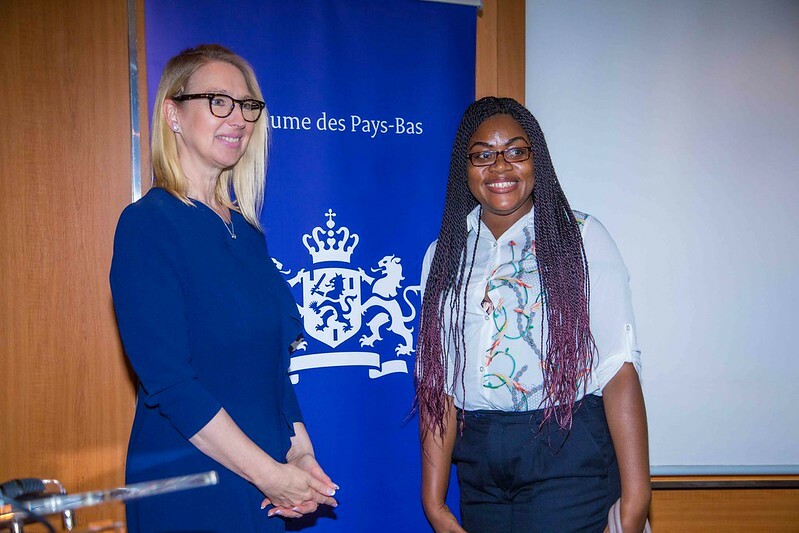 The much-anticipated event was again hosted by Lionesses of Africa in partnership with Ambassade du Royaume des Pays-Bas. It promised to be a morning of inspiration and great business networking, and it lived up to that promise. The Hotel Tiama, Boulevard de la Republique, in Plateau, Abidjan, welcomed an audience of around 100 leading women entrepreneurs from the city for the Lioness Lean In event, an occasion for sharing, inspiring and connecting for greater business success. The morning’s programme commenced with breakfast and networking, with women entrepreneurs getting the opportunity to meet one another, make important connections, and open up new business opportunities. The event programme then formally got underway with a welcome from host and MC for the morning, Melanie Hawken, founder and ceo of Lionesses of Africa. Melanie presented an overview of the work of Lionesses of Africa and its vision to empower and support 1 million women entrepreneurs across the African continent. She shared some of the major initiatives currently being rolled out by Lionesses of Africa across the African continent and also plans for the remainder of the year ahead, including some initiatives that will support Abidjan’s women entrepreneurs in particular. Welcoming guests officially to the event and getting the morning’s proceedings underway on behalf of Ambassade du Royaume des Pays-Bas was Ambassador Robert van den Dool. Other highlights on the programme included three guest speakers, all successful women entrepreneurs from Abidjan, who shared the stories of how they launched their businesses and how they have built them into the vibrant and growing businesses they are today. The speaker lineup included the truly inspirational Olivia Angola, founder of Max 15 Fashion. She shared her journey to building a retail fashion empire in Abidjan and her vision for the future of her business. Next was Cynthia Aissy Adediran, founder of Fruitizz, a natural fruit juice business with a very trendy juice bar in the capital. She not only shared her story of building her company and brand, but also held a juice tasting session for all attendees. The final speaker was Adja Soro, founder of Voyelles Publishing, who spoke about her personal journey to building a successful book publishing business, and her new venture creating animated films for children and young people. Lionesses of Africa Founder and CEO, Melanie Hawken, then returned to the speaker podium to announce some exciting new initiatives that will benefit the women entrepreneurs of Abidjan. These included subscriptions to the Lionesses of Africa free daily newsletter, Good Morning Lionesses; the free weekly digital magazine, The Mix; the weekly Lioness Radio Show; plus access to showcasing new businesses and products on Lioness CoLab, a platform to promote new products and services being created by collaborating fellow women entrepreneurs. Also, Lioness Launch, a platform dedicated to helping women entrepreneurs to digitally launch their new products and services into the marketplace across the African continent through the Lionesses of Africa community. Finally, as part of the morning’s programme, the Lioness Launch Open Mike session gave the opportunity to 5 women entrepreneurs from Abidjan to pitch their businesses, products and services in 1 minute to the audience. Each of the entrepreneurs will be featured on the Lionesses of Africa platforms over the coming month to showcase their businesses and products to the entire network across the African continent. 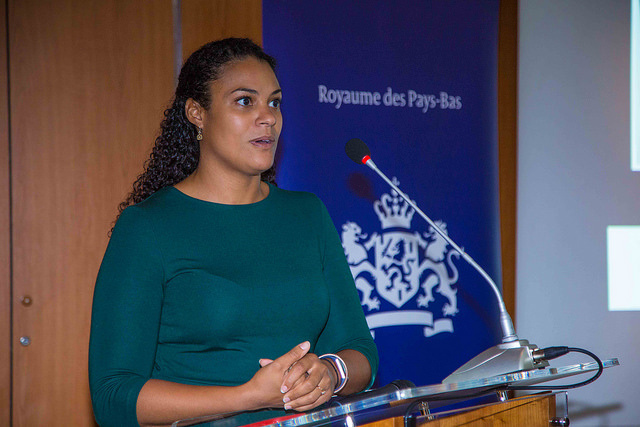 The Lioness Lean In Abidjan event programme then came to a close with final remarks from co-host Raissa Marteaux, Chef de Mission Adjoint et Chargée de Section Economie, Ambassade du Royaume des Pays-Bas. Attendees were encouraged to network and make new business contacts over refreshments.